From left to right, Cannon County Youth Dream Board member Daisy Gannon, Cannon County Director of Schools Barbara Parker and MTE Customers Care Board member Becky Vassar display a replica check from MTE Customers Care. Middle Tennessee Electric Membership Corporation’s Customers Care donated $3,000 of its Operation Round Up funds to Cannon County Youth Dream. 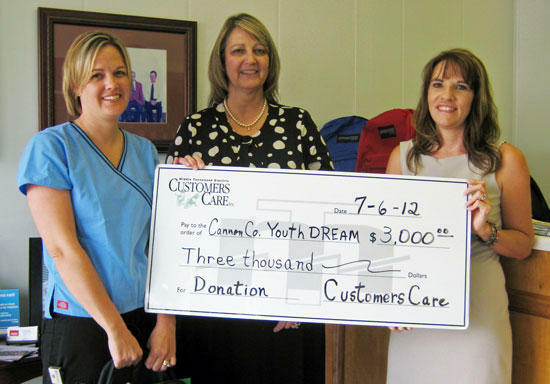 Cannon County Youth Dream provides support to young people of all ages and circumstances. Operation Round Up began in 2003 and has distributed more than $5.8 million into MTEMC’s communities.